Being involved in a car accident in Florida, can result in serious personal injuries, disputes with insurance companies, stress and leave you with many questions, the answers to which may have long lasting effects on your life. We, the Fort Lauderdale Car Accident Lawyers at the Florida Personal Injury Attorney Offices of Joseph I. Lipsky, P.A, are here to help answer your questions, and to help find the solutions to your problems. For nearly 25 years Miami car accident lawyer Joseph Lipsky has personally witnessed the difficulties accident victims struggle with in their fight to overcome injuries and recover just compensation for their damages. Miami Car Accident Lawyer Joseph I. Lipsky helps seriously injured victims of car accident, truck crashes and tractor trailer collisions pick up the pieces of their lives after suffering serious and debilitating personal injuries in car accidents which were caused by someone else’s negligence. We have offices in Miami, Fort Lauderdale-Plantation, the Palm Beaches and the Florida Keys, which allow us, your Fort Lauderdale car accident lawyer, to readily and quickly respond to all Florida car accident and personal injury victims who have questions which need answers. Because of Florida has specific laws which control and often limit a car accident victim’s rights, it is critical that injured car accident victims talk to our office a quickly as possible. Having successfully helped hundreds of Florida car accident victims recover tens of millions of dollars in compensation, Fort Lauderdale car accident lawyer Joseph Lipsky knows the ins and outs of Florida law. Unlike other personal injury attorneys, for over 25 years Miami Car Accident Lawyer Joseph Lipsky has limited his practice by specializing in helping injured victims as a personal injury trial attorney. We have the knowledge, experience and resources to help obtain the maximum recovery accident victims are entitled to for all of their damages, including unpaid medical bills, lost wages, broken bones, lacerations, scarring, spinal injuries and the long-term pain and suffering with which car accidents victims suffer. Through years of experience, Miami car accident lawyer Joseph Lipsky has helped those injured due to someone else’s negligence recover money damages for their injuries including paralysis, amputation, head injuries, knee, ankle and shoulder injuries, not to mention all types of spinal injuries, including whiplash and soft tissue injuries. The damages we help injured accident victims recover include money compensation for mental anguish, loss of enjoyment of life and loss of consortium for a married accident victims non-injured spouse. 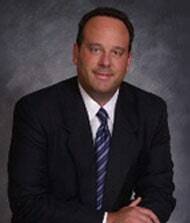 Fort Lauderdale car accident lawyer Joseph Lipsky only helps those who are injured in car and motor vehicle accidents. Mr. Lipsky does not work for insurance companies, who take it upon themselves to limit accident victims’ rightful recoveries. We help all clients on a contingent fee basis. This means, we only get paid if we get our clients money for their damages. What does this mean to you? It means you can hire a nationally recognized personal injury and car accident lawyer, who is a long-standing member of the Million Dollar Advocates Forum, a car accident lawyer who has helped his clients recover many multi-million dollar settlements and verdicts for their damages and suffering, with no out-of-pocket or upfront attorney’s fees or costs. Because we provide free consultations or second opinions to all car accident and personal injury victims, we strongly recommend that all those in need of a Fort Lauderdale car accident lawyer speak with us after being injured in an accident, rather than trying to go it alone by talking with insurance companies without legal representation. Of the many services we as Miami car accident attorneys provide, in addition to taking car accident cases to jury trial, we help accident victims identify all responsible parties, including those which may not be readily ascertainable; gather all necessary documentation including police investigative reports and photographs to be able to properly and effectively present a winnable case; and most importantly, keep you or client updates about the status of your case, so you can make a proper decision about how to proceed with your case. If you have any questions about your car accident or personal injuries which you would like to discuss with us, please call our Fort Lauderdale car accident lawyer, by calling any of our offices in Miami, Fort Lauderdale - Plantation, the Palm Beaches or the Florida Keys. We are available 24/7 on our Toll-Free hotline at (888) FLA-LAW8 (888-352-5298). The call and Florida car accident injury consultation are FREE, so do not delay in calling to find out about your legal rights. We are here to help.